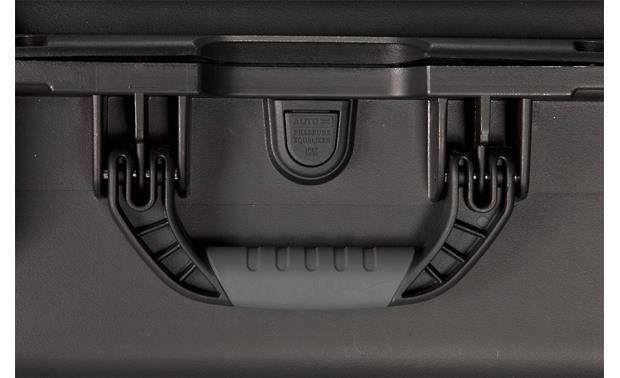 Just arrange the foam so it surrounds your gear snugly. 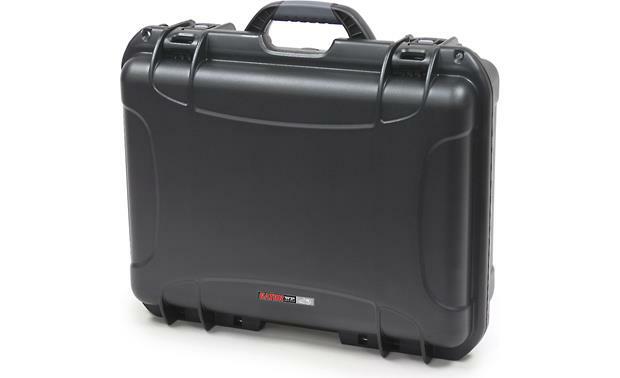 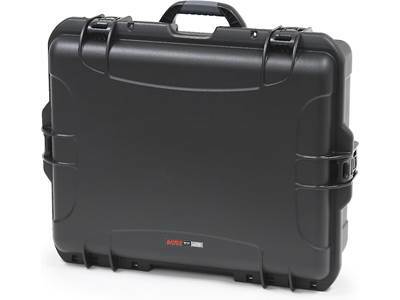 This particular case has an interior space of 18"W x 6.9"H 13"D.
Overview: The Gator Titan Series Waterproof case is a hard plastic, water- and dust- proof equipment case with a customizable diced-foam interior, allowing it to be used for a wide range of pro audio, camera, and A/V equipment. 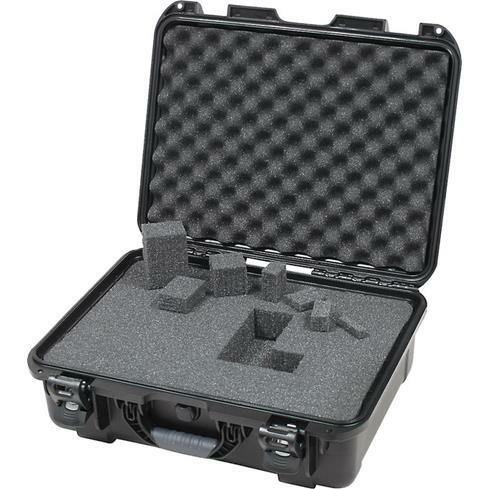 Made from impact proof lightweight NK-7 Resin, it carries ATA-300 (safe air travel) and IP67 (water and dust proof) certifications as well as Mil-STD-810F immersion testing. 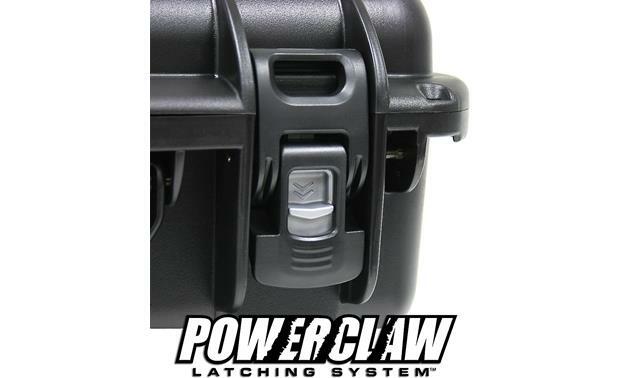 Other features include, Gator's easy-release Powerclaw latching system, a soft grip carry handle, and two locations for pad-locking. 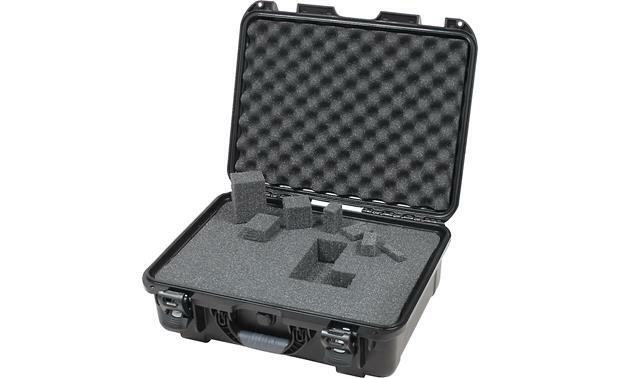 Even more carrying space — interior dimensions of 22" x 17" x 8.2"
Searches related to the Gator GU-1813-06-WPDF Waterproof molded 18" x 13" x 6.9" carrying case for A/V equipment.